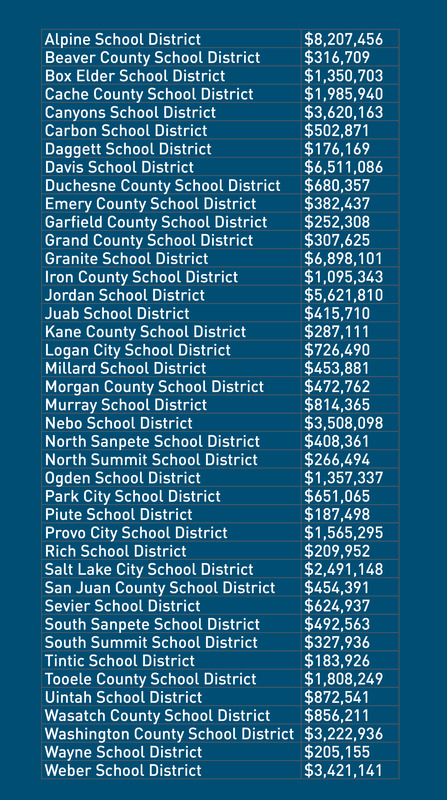 Since 1994, the Trust Lands Administration has generated more than $1.6 billion for Utah’s public schools, and has worked to grow Utah’s permanent funds from $84 million to $2.5 billion. This Permanent School Fund, a perpetual endowment for public schools, benefits students today and tomorrow. Today’s students receive annual distributions from the fund while the balance grows in perpetuity. The Trust Lands Administration aims to make the fund an increasingly significant source of funding for Utah schools. Below are 2018 – 2019 distributions by school district. Find out what your school received in School LAND Trust Funds and how it was used.